The tail end of last week was a bit of a throwback week for me. For reasons that I’ll not go into here I have been building some SQL Server 2008 instances. This is because of a large SQL Server migration project that I’m working on for a client. 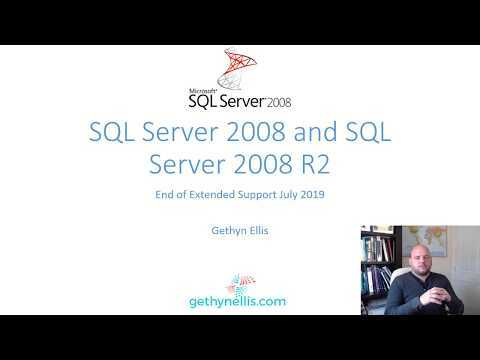 The 2008 instances are for legacy database not supported on later version of SQL Server. There is nothing fancy in terms of database housekeeping and backups. Native SQL Server tools and maintenance plans are being used for automated tasks from backups to index maintenance. The SQL Server Execute Package Utility requires Integration Services to be installed by one of these editions of SQL Server 2008: Standard, Enterprise, Developer, or Evaluation. To install Integration Services, run SQL Server Setup and select Integration Services. The package execution failed. The step failed. When you install the latest service pack for SQL Server 2008 – which is service pack 4. Integration services is no longer needed. Why is he talking about this old version of SQL Server I hear you ask? I have a few reasons. I’m sure I’m not the only one working on legacy versions of SQL Server. This information may come in handy for others. It will also help me remember this stuff going forward, which I might need to know. It also brings up another interesting, relatively recent development for Microsoft. At the tail end of last year Microsoft announced SQL Server Premium Assurance – which will basically allow you run older version of their software for longer. I’ll be discussing this is an future newsletter that I write over on the Learning Tree blog. You can sign up for that here.